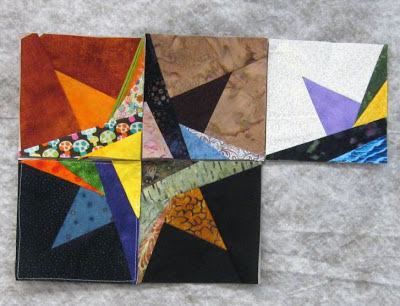 There is another group of quilters that are now hooked on paper piecing! Yipee! I love paper piecing, but I always have to stop to get my brain wrapped around this "somewhat backwards" technique before I put scissors to fabric. Once the process "clicks," I get into the paper piecing zone and it's lots of fun. 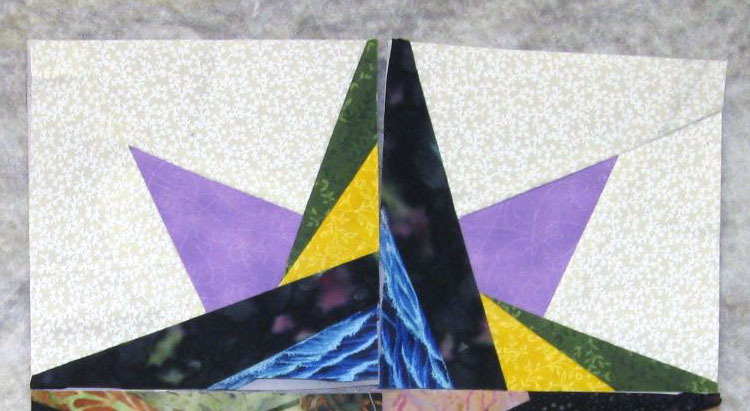 Today, January 24, is also Support Your Local Quilt Shop day, so stop in yours, sign up for a class, buy that new tool you've been wanting to try and add some Fat Quarters to your stash. I taught the Twisty Star Paper Piecing class last weekend at one of my local sewing machine shops and immediately got photos of completed blocks emailed to me from my students before the weekend was up. 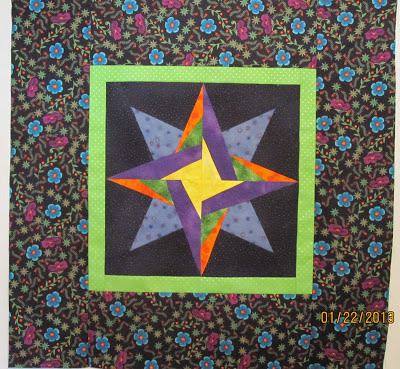 Look at the beautiful color and fabric choices they made for their Twisty Star paper pieced project. Deb added an inner border to her project. Nice touch! I like Carolyn's placement choice for the powder blue fabric in her star. It adds a sparkle to the piece. Here is Jackie's star. The black solid really sets off the star. 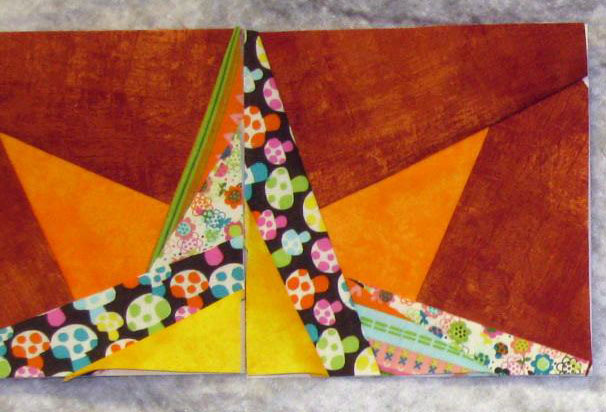 One good thing about using batiks and solids with paper piecing: there is no right or wrong side to the fabric. One challenging thing about using batiks and solids with paper piecing: there is no right or wrong side to the fabric. Sheila got two quadrants completed in class. She's got some bright colors and fun prints in her Twisty Star. 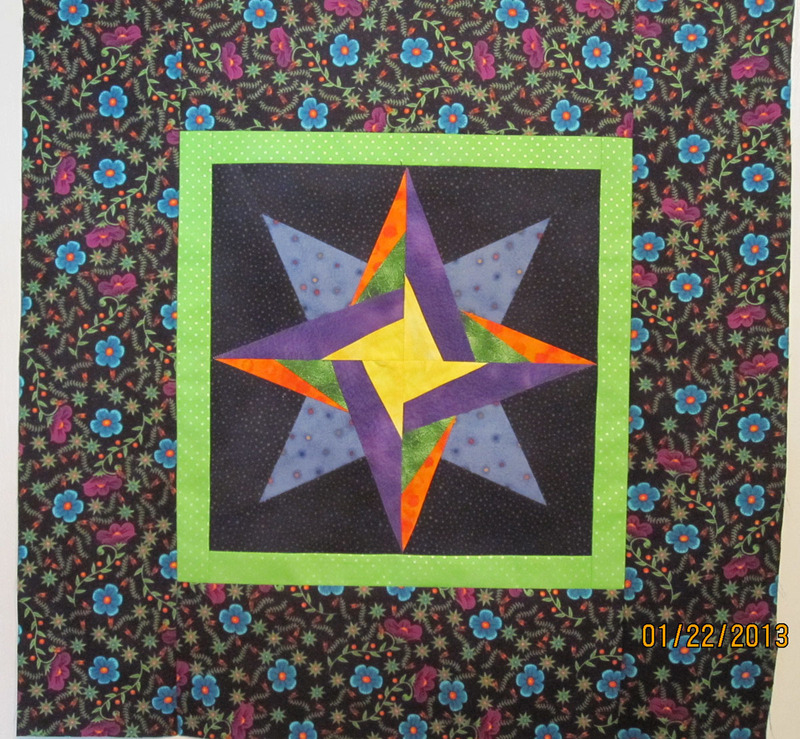 Elsie also completed two quadrants of her Twisty Star. She is using a stripe-like directional fabric in the center of the star... a little more of a challenge, but well worth the extra effort. So, if you can count and sew a straight line, you can paper piece. 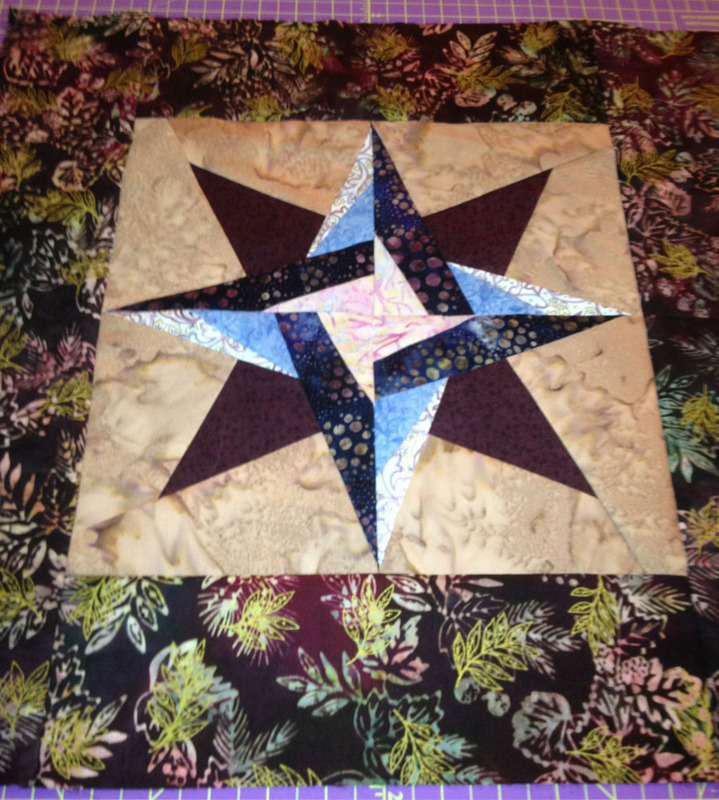 Here is a scrappy version of the star that uses everyone's first paper pieced block. They are all Star Students! A sampler of students' work. 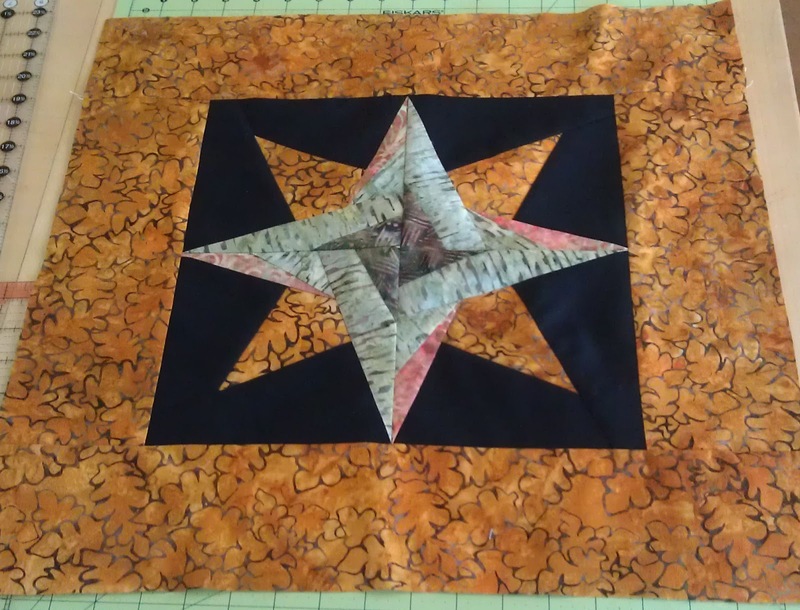 If you'd like to learn a new quilting technique and expand your skill set, check here to see upcoming classes that I'm teaching. Or, visit YLS and sign up today.